With the two major brunch holidays just around the corner, we wanted to make sure you had plenty of delicious menu options & you just can’t have a good brunch without warm, delicious cinnamon rolls. 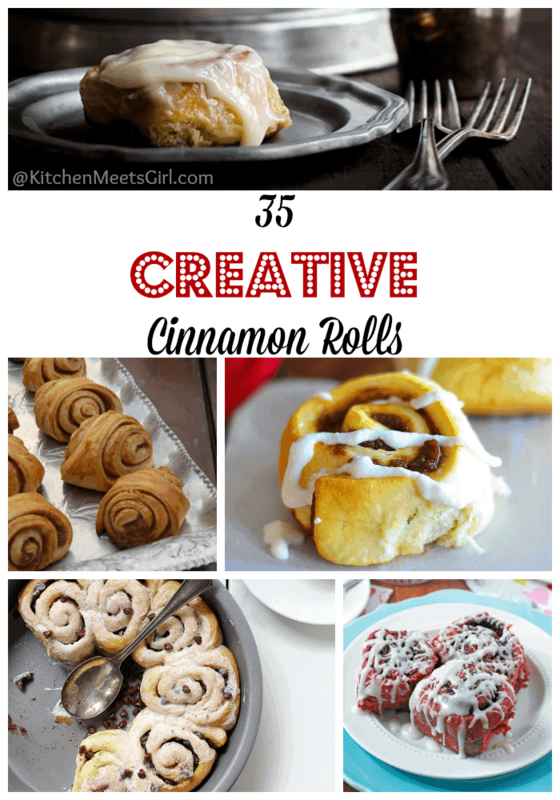 So we went searching & found 35 of the most creative cinnamon rolls out there! From cookies to potatoes and everything in between, these definitely aren’t your ‘from a tube’ breakfast treat! Yum, one of my obsessions! Each and every one looks amazing, thanks for bringing them all together in one place! And thanks so much for including a couple of mine :). These all look amazing! I LOVE cinnamon rolls! Thanks so much for including me 🙂 Pinned and shared on FB!